Dr Rosnah presents a memento to Dr Teo. 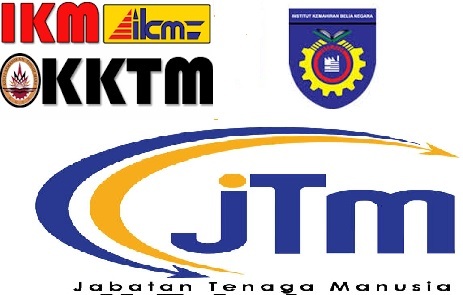 MIRI: Enrolment into skill and vocational training institutions is for every Malaysian with SPM. According to Dr Rosnah there are about 20 Chinese students out of 102 students per intake. She hoped Dr Teo would promote and encourage parents to enrol their children into the institute. Dr Rosnah said; “Technical and Vocational Education and Training (TVET) is education and training which provides knowledge and skills. In this context, she advised SPM school leavers not to think only of starting salary as they must aim to acquire skills and experience required by the industry before getting better pay. Local companies are also encouraged to hire more locals with skill and experience. Dr Teo who acknowledged and recognised the importance of having skilled labour said he would appeal for more funding, including employing more lecturers for ILP Miri. Riot believes that his ministry has provided a holistic solution to the skilling, upskilling and reskilling of the nation’s workforce. 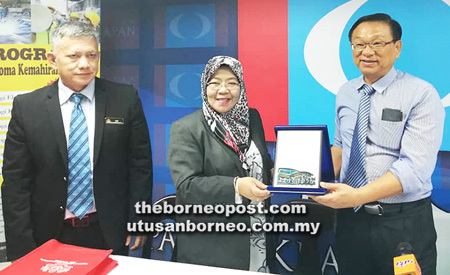 KUCHING: It comes as no surprise that the Ministry of Human Resources (MOHR) holds many duties under its purview, being the authority in charge of the Malaysian workforce. The ministry is responsible for skills development, labour, occupational safety and health, trade unions, industrial relations, industrial court, labour market analysis and social security — to name a few — and these responsibilities continue to grow with each new facet introduced, as roles of human resources evolve with time and technology. Take, for example, the boom of the ‘gig’ economy over the past two years triggering new income-generating trends such as Uber and Airbnb — leading MOHR to come up with new ways to protect the interests of employees in a whole new light. First formed in 1904 as the Labour Department, it has changed its name six times over the past 114 years, riding on the massive changes in the nation’s industrial landscape and labour forces. The present minister, Dato Sri (Dr) Richard Riot Jaem — who was sworn in on May 16, 2013 — attributes his success to the holistic approach that he has incorporated in dealing with his ministry’s day-to-day operations and its long-term schemes implemented for the welfare and upskilling of the nation’s labour force. In an exclusive interview with The Borneo Post, Riot admits that his role as the Minister of Human Resources has been a learning experience in itself. “To be very frank, when I first came into the ministry, I thought it was only going to deal with labour issues. Only after coming in did I realise the huge responsibility I had on my shoulders. It was really going to be a tough job,” he shares. From looking after the interests and welfare of employees in Peninsular Malaysia, Sarawak and Sabah, to ensuring adequate training and development of the country’s future workforce, the MOHR is involved with anything and everything to do with the affairs of the Malaysian workers. Following the goals set out under the 11th Malaysia Plan (11MP), Riot aims to build a world-class workforce through steady increases in the percentage of skilled workers up to 35 per cent by 2020. Today, employers and employees nationwide stand to gain from these numerous programmes and plans being put in place. Employers can utilise MOHR’s skill development facilities and schemes provided to upskill or reskill their employees, allowing them to enhance their human capital and drive innovation from within. 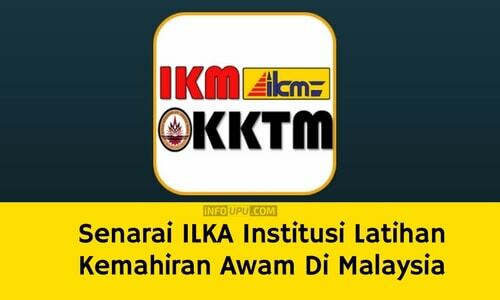 Meanwhile, SPM holders who have no plans to pursue academically oriented tertiary education are encouraged for technical schools to gain better employment prospects, while high-skilled diasporas are slowly but surely being wooed back home to take on the high-skilled roles that need to be filled urgently. All of this has contributed greatly to the expansion of the Malaysian economy and society as a whole, helping MOHR bring to life the government’s vision of having a competent and skilled workforce. To achieve this task, Riot says he and his ministry has been focusing on skilling, upskilling and reskilling the labour force through various schemes and programmes that are being made available by the different departments and agencies to the wider public. Most notably, the skilling of youths is regarded as one of the most vital functions of the MOHR as it ensures the future survivability of industries by providing them with an adequate workforce. “I always encourage graduates from our Malaysia Skills Certificate (MSC) Level 3 Programmes to re-enrol to MSC Level 4, in order to pursue our diploma courses to continue gaining skills as it will greatly increase their livelihood down the line,” Riot shares. 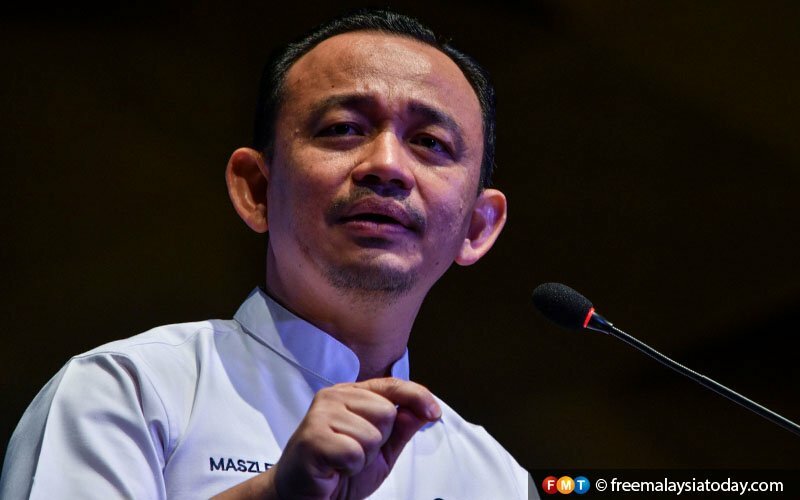 For SPM School-Leavers with no plans to pursue academically oriented tertiary education, the ministry encourages them — via awareness campaigns — to enrol into one of its 32 technical institutes across the country. Of the 32, 24 provide various technical and vocational education and training (TVET) certificate courses to the public, with eight having diploma programmes for certificate-holders. Besides increasing the number of certificate and diploma holders, Riot stresses that the quality of graduates is equally crucial. “We need to produce a labour force that is equipped with the right knowledge, skills and attitude to thrive in the globalised economy where emerging new technology, digitalisation and ‘Industry 4.0’ have drastically changed what is needed for the average worker. These efforts have been fruitful, discloses Riot, as revealed by the high employability percentage reported for graduates from Miri’s Industrial Training Institute (ILP) and Shah Alam’s Advance Technology Training Centre (Adtec). “I’m very happy to say the employability rates amongst our graduates are 92 per cent — 92 per cent (of the graduates) showcasing exactly how important TVET skills are to workers nowadays,” he says. Adding to this, the MOHR has been pushing hard especially for youths to embrace technical courses, as it is anticipated that 60 per cent of our industries would require employees who are technically skilled in the near future. With much focus being placed on youths, it appears that many members of the workforce are unable to participate due to prior financial obligations. To address this, MOHR makes available several programmes to accommodate those currently working — some under the HRDF, and one under the DSD. The schemes under HRDF are tailored for employees already in the workforce who are looking to upskill or reskill themselves in order to increase their career prospects. Employers may actively participate in many of HRDF’s programmes by sending their workers for further training. Besides that, the DSD also provides a programme called the ‘National Dual Training’, which pairs up citizens with paid apprenticeships at selected companies where they may receive offers of employment after graduating from the programme. This programmes focuses on 30 per cent classroom learning and 70 per cent on-thejob learning, to ensure that the graduates would be able to adapt to their new jobs with ease upon completion of the course. Riot also recognises that not all workers need further training as they may have already obtained the appropriate experience from long years on the job. Still, they may lack the formal credentials to justify their skills. “A lot of people in Malaysia — including Sarawak — are already very skilful with their hands, but they lack the paper accreditation that acts as proof of their skills to employers. “A worker may be a very good carpenter or welder but because he doesn’t have formal credentials, upon seeking employment he may find that his pay is much lower than what he should be receiving because he is regarded as an unskilled labour,” Riot explains. Understanding that this would deny a significant part of the local workforce from appropriate wages and bright career paths, Riot discloses that his ministry alongside with the Defence Ministry launched a recognition of prior experiential learning on Feb 22 this year, to help anyone with prior experience or skills from a variety of industries to officially obtain diplomas certifying their abilities. Each applicant would be assessed in terms of their skills and competency to see if they qualify for the diploma accreditation. According to Riot, so far more than 1,000 people have registered for the scheme, with 300 due to graduate with diplomas by the end of this year. “While this scheme is mostly geared towards former Armed Forces personnel, I would like to stress that it is open to those who seek to upgrade themselves for better job prospects and better recognition of their skills and abilities. “As far as Armed Forces go, they register with Perhebat (Armed Forces Ex-Servicemen Affairs Corporation), but the civilians can either register with the HRDF, or directly with the ministry (MOHR). ” Overall, Riot believes that his ministry has provided a holistic solution to the skilling, upskilling and reskilling of the nation’s workforce. He adds that while there has been some concern on whether or not Malaysia would be able to meet the goal of 35 per cent skilled workers by 2020, he is confident that the target remains achievable. “We have about two years to go before reaching 2020 — I am very confident that the 35 per cent target as required by the government can be achieved. “In order to do so, I would like to especially promote the ministry to Sarawak as I believe there is still a lack of awareness and misconception of what MOHR actually does. “I believe Sarawakians are still not fully aware of these benefits and opportunities they can obtain from MOHR,” he points out. Riot looking at the interview registration prosses at the Job Fair organised by the Ministry of Human Resources at UTC Kuching on May 20, 2017.